A playful and informative story about animals that are awake at night. A brother and sister sneak out of the house when it becomes dark. Their mother is on night duty. The children use their flashlights to look for animals that crawl and creep, climb and run, swim and fly. Each chapter tells what the brother and sister find and about each individual nocturnal animal. Why are these animals awake when others sleep? Are they unable to sleep or are they awake while they sleep? The nocturnal animals in the book are: foxes, toads, bats, spiders, ducks, night ravens, snails, ducks, otters, crabs, mosquitoes and others who are out at night. A captivating book for inquisitive and curious children aged 6 to 10 years. 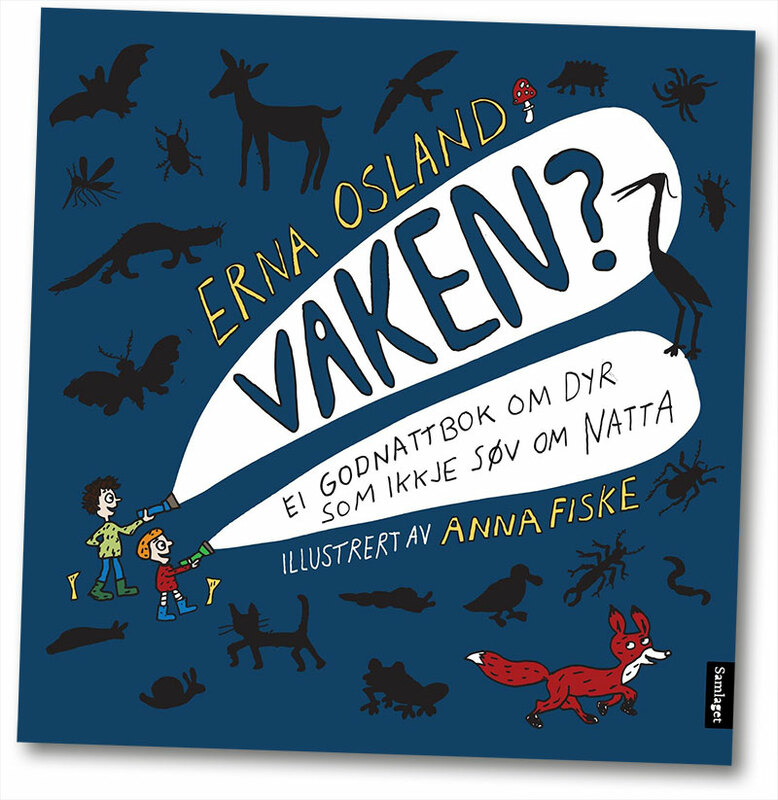 Written and illustrated by the popular super duo: Erna Osland and Anna Fiske. Erna Osland (b. 1951) is a prize winning and much loved author of both fiction and wide range non-fiction books for children. Her inviting tone and ability to delight and surprise the reader transforms her non-fiction books into pleasurable safaris of laughter and learning. 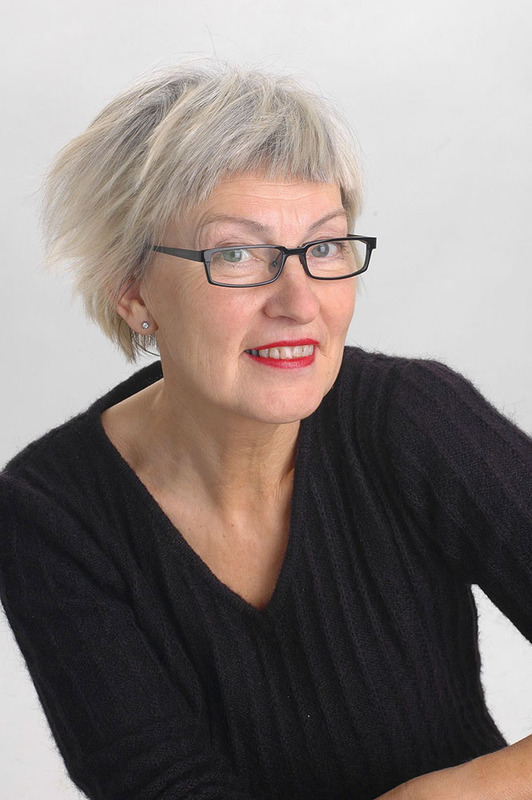 Osland has won a number of Norwegian and international prizes for her books. Some of the books are translated. Anna Fiske (b. 1964) is a Swedish born illustrator, author and cartoonist. 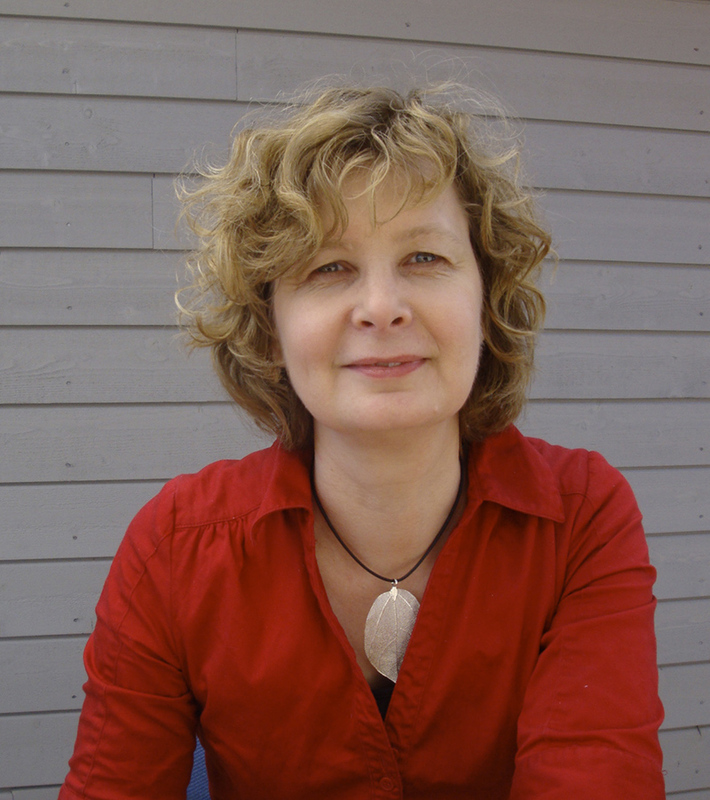 Fiske’s playful and distinctive style, both literary and pictorial, has earned her numerous awards and honours for her works. Several of her books have been published with great success in many countries.